This necklace set is ABSOLUTELY GORGEOUS!! 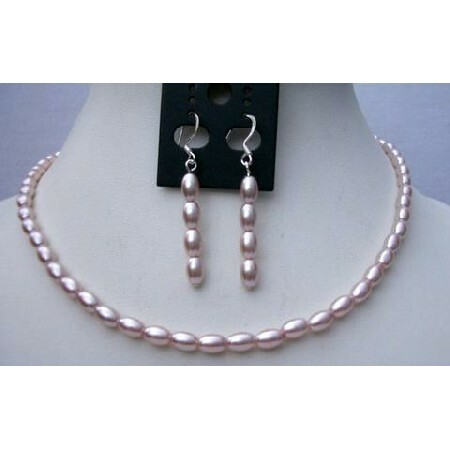 High Quality Necklace & Earring Set in Beautiful & Cool Pink Rice Shaped Simulated Freshwater Pearl Bead Necklace with genuine sterling silver french wire earrings. This delicate yet elegant set is adorned. In rich complimentary colors that work magic as they delight the senses! A party on your Neck & ear lobes. festive.